New Delhi: Prime Minister Narendra Modi on Friday stepped up attack on the Congress after party leader Sam Pitroda sought more ‘facts’ related to the Indian Air Force strike at a terror camp in Pakistan’s Balakot. In a series of tweets, PM Modi lashed out at the opposition alleging it has been insulting the armed forces, reports Hindustan Times. Reacting to Pitroda’s comment, PM Modi said, “Opposition insults our forces time and again. I appeal to my fellow Indians- question Opposition leaders on their statements. Tell them- 130 crore Indians will not forgive or forget the Opposition for their antics. India stands firmly with our forces.” “Loyal courtier of Congress’ royal dynasty admits what the nation already knew- Congress was unwilling to respond to forces of terror. This is a New India- we will answer terrorists in a language they understand and with interest,” read another tweet posted by PM Modi. 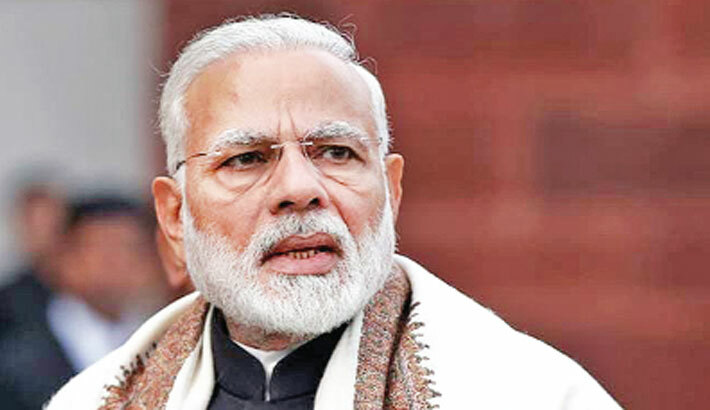 The prime minister also hit out at Samajwadi Party leader Ram Gopal Yadav, who on Thursday said that Pulwama terror attack was a “conspiracy” in which “soldiers were killed for votes”. A CRPF convoy was targeted in a suicide bombing on February 14 in Jammu and Kashmir’s Pulwama killing 40 soldiers. Pakistan-based terror outfit Jaish-e-Mohammed claimed responsibility for the terror attack. On February 26, the IAF carried a strike at a terror camp, believed to be the biggest training centre of the Jaish-e-Mohammed in Pakistan’s Balakot. The IAF later said that the mission was “successful”, which Pakistan denied.